Unlike conventional service and support offerings, FANUC works on the premise that because every customer’s needs are different, FANUC Service and Support needs to adapt flexibly to meet your, sometimes, very specific needs. Regardless of whether you are concerned with maximising your machine’s output or extending its lifetime, the primary focus of FANUC Service and Support is always on you and your specific production scenario. To back it up and empower you to get the best out of your machines, we offer a complete range of solutions for predictive, preventive and reactive maintenance, an extremely comprehensive back catalogue of spare parts as well as an extensive portfolio of standard and tailored training programs. To minimise impact on production and get the most out of your machine, we offer maintenance services designed to lower your machine’s TCO. Whatever your production scenario, FANUC solutions keep your machine running via dedicated preventive, predictive and reactive maintenance procedures that maximise uptime and keep downtime to a bare minimum. 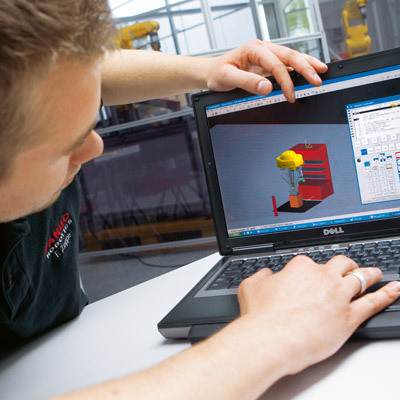 The FANUC Academy offers everything you need to upskill your teams and increase productivity – from introductory programs for beginners through to courses tailored to the needs of expert users and specific applications. Fast and effective learning, on-site training, cross machine training or e-Learning programs make up the extensive educational offering. 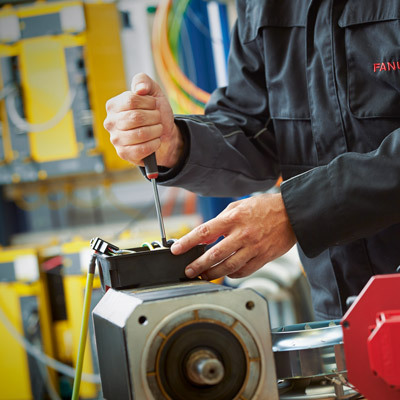 Capable of repairing almost anything FANUC produces, and with a vast array of exchange parts on its shelves, the FANUC Repair Center is dedicated to getting your machines up and running again as quickly as possible. FANUC offers either separate or combined customised contracts for predictive, preventive and corrective services that extend the warranty on your FANUC products. Ask us for the right solution! By replacing and renewing key parts and components, FANUC’s refurbishment and retrofit service will give your old CNC, robot or machine a new lease of life. The result: your FANUC CNC, robot or machine will keep on working long into the future – lowering your TCO further still. That’s economic sustainability. As long as your machine is in service we will provide you with original spare parts - and that for a minimum of 25 years. With more than 20 parts centres all over Europe, dedicated service engineers and direct online access to FANUC stores, availability checks and ordering, we keep you running whatever happens. 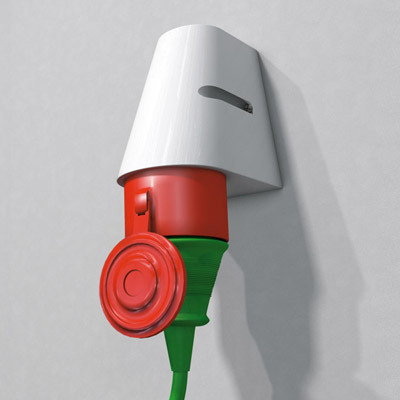 Throughout our entire production process we strive to be as environmentally friendly as possible. 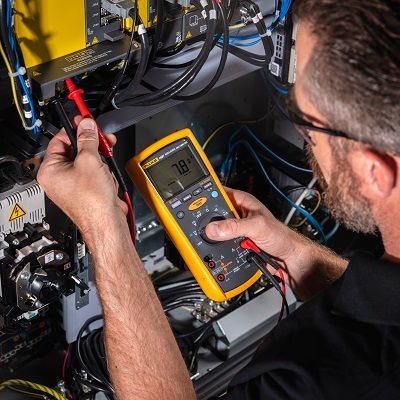 Not only do we take back your used grease, batteries and motors but intelligent service offerings such as FANUC diagnostics pro help you save energy and reduce costs thanks to increased productivity and significantly lower rates of energy consumption. "We are on call 24/7, guaranteeing access to your service engineer, online helpdesk, remote diagnostics, on-site breakdown support as well as other services day in day out"